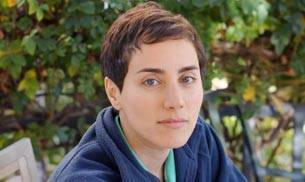 Maryam Mirzakhani, the math genius from Iran, was born on May 3, 1977. She became the first woman to be awarded the Fields Medal, the highest award in mathematics, aka the Nobel Prize of math. 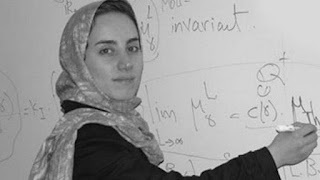 The International Mathematical Union chose to give the honor to Mirzakhani after she discovered new advances in the theory of Riemann surface. The organisation gives out awards every four years to some of the best mathematicians under the age of 40. The low representation of women in STEM academic faculty and leadership roles are still not known as studies show no biological differences that would explain it happening. According to the National Academy of Sciences, being the first female to win this prestigious award, people are considering this as the first sign of many changes for the future. She's known for doodling on giant sheets of paper when working on math problems. In an interview to Stanford News she said, "This is a great honor. I will be happy if it encourages young female scientists and mathematicians. I am sure there will be many more women winning this kind of award in coming years. I think it's rarely about what you actually learn in class... it's mostly about things that you stay motivated to go and continue to do on your own." Excellent information provided by you. I really appreciate your approach. I am also looking for some online Math Practice Test. Thanks and keep posting helpful material. Wonderful information shared, Congratulations to Maryam Mirzakhani to win the Nobel Prize for Mathematics. Hope she becomes an inspiration to the women's and they too achieve such a milestone in their respective lives. All the best!